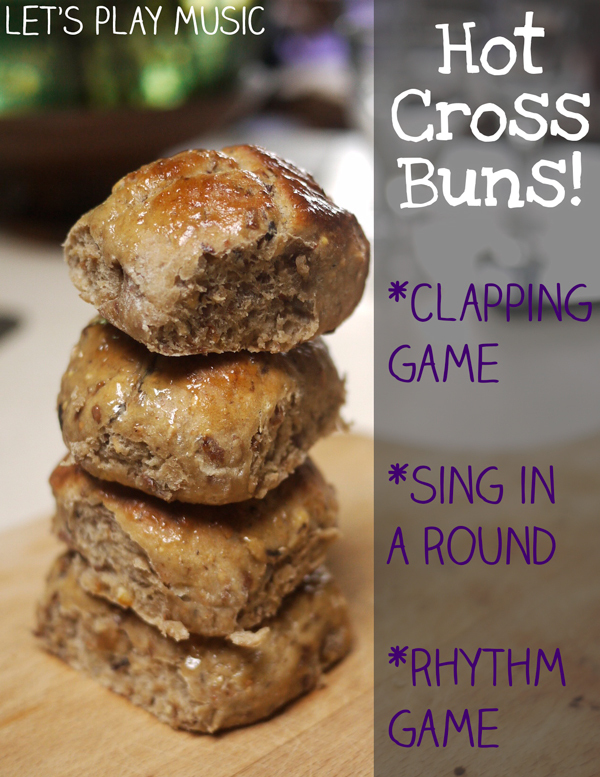 Good Friday is the day to bake and share Hot Cross Buns with family and friends. Eaten warm from the oven dripping with butter, they are one of the highlights of Easter. But they were made in England long before Christianity adopted them. The bun was a symbol of the Moon and the cross divided it into the four quarters of the Moon’s cycle. As with so many folk customs, the advent of Christianity brought a new significance to old symbols and people were happy to embrace these familiar customs within their new faith. One a penny two a penny, Hot Cross Buns! 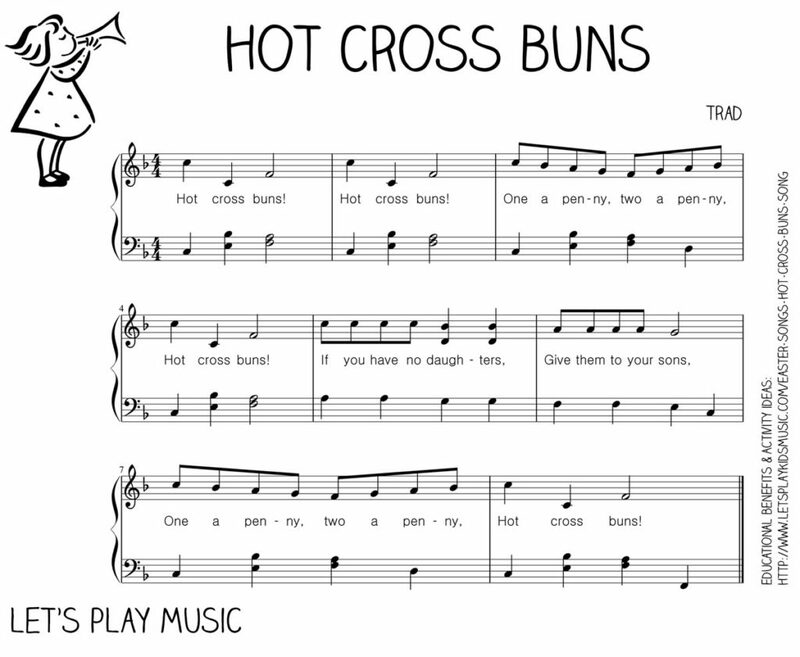 Hot Cross Buns celebrates this Easter treat and has a catchy and memorable tune that children find easy to pick up. 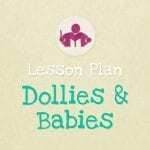 It is particularly useful for practising the intervals of an octave leap and a fourth (high Do – low Do, Do – Fa) which is the repeated theme throughout the song. 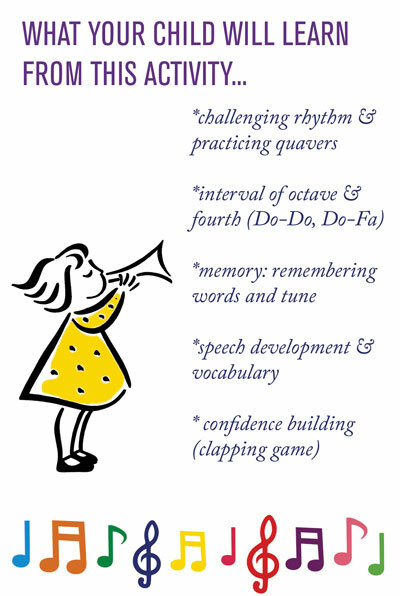 It is also good for introducing and practising the repeated quavers on the words ‘If you have no daughters, Give them to your sons’ which children love tapping along to with sticks or triangles. 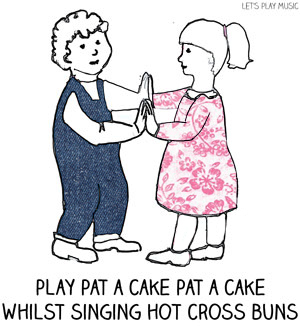 This song works very well when sung in pairs, clapping pat-cake style on the beat and choosing and singing with a partner is excellent for confidence building and social skills. 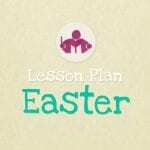 You can make up some new verses by asking the children what they like about Easter, and substitute the ‘Hot Cross Buns’ for ‘Little Yellow Chicks’, or ‘Easter Eggs!’ The kids will come up with lots of suggestions, as long as they can fit the words in! Once they have mastered the song, slightly older children (5-6 yrs +), will be able to sing this in a round. One pair starts singing, and the second pair starts singing the song 2 bars later (after Hot Cross Buns, Hot Cross Buns!) 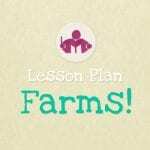 this is really good training for the musical ear, and the ability to stick to your own melody line. My sister home schools her children and runs a music school. I told her about your website. Great work! !